Omnicom Group and Publicis Groupe are to merge, creating the world’s largest communications, advertising, marketing and digital services company, with combined 2012 revenue of $22.7 billion / €17.7 billion. Based on closing prices on July 26, 2013, Publicis Omnicom Group will have a combined equity market capitalization of approximately $35.1 billion / €26.5 billion. The merged group will have more than 130,000 employees. The merger is expected to generate efficiencies of $500 million / €377 million. The Publicis Omnicom Group will include BBDO, Saatchi & Saatchi, DDB, Leo Burnett, TBWA, Razorfish, Publicis Worldwide, Fleishman-Hillard, DigitasLBi, Ketchum, StarcomMediaVest, OMD, BBH, Interbrand, MSLGROUP, RAPP, Publicis Healthcare Communications Group (PHCG), Proximity, Rosetta, CDM, ZenithOptimedia and Goodby, Silverstein & Partners. The Publicis Omnicom Group is being announced as a merger of equals. Publicis Groupe and Omnicom’s CEOs will lead the company as co-CEOs through an initial integration and development period of 30 months, following which Mr. Lévy will become non-executive Chairman and Mr. Wren will continue as CEO. The company will have a single-tier board with 16 members, consisting of the two co-CEOs and seven non-executive directors from each company. For the first year following the closing of the transaction, Bruce Crawford, currently Omnicom Chairman, will be the non-executive Chairman of Publicis Omnicom Group. He will be succeeded by the current Publicis Groupe Chairperson, Elisabeth Badinter, as non-executive Chairperson for the second year following the closing of the transaction. The transaction is a cross-border merger of equals under a holding company, Publicis Omnicom Group, in The Netherlands. The Group’s operational head offices will continue to be based in Paris and New York. The merger is expected to be tax-free to the shareholders of both companies. The transaction has been structured so that the shareholders of Publicis Groupe and Omnicom, after special dividends, will each hold approximately 50% of the equity of Publicis Omnicom Group. Publicis Groupe shareholders will receive one newly issued ordinary share of Publicis Omnicom Group for each Publicis Groupe share they own, together with a special dividend of €1.00 per share. 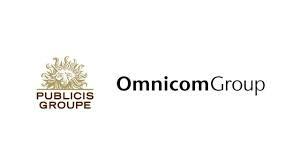 Omnicom shareholders will receive 0.813 newly issued ordinary shares of Publicis Omnicom Group for each Omnicom share they own, together with a special dividend of $2.00 per share. In addition, Omnicom shareholders will receive up to two regular quarterly dividends of $0.40 per share if declared and the record date occurs prior to closing. Publicis Omnicom Group is expected to be listed on the NYSE and Euronext Paris, traded under the symbol OMC, and to be included in the S&P 500 and CAC 40. The transaction is subject to approval by the shareholders of both companies as well as numerous regulatory approvals. It is expected to close in the fourth quarter of 2013 or the first quarter of 2014. Publicis Groupe and Omnicom have expressed the desire to have their shares start trading simultaneously on the day of announcement. As a consequence and because of the time difference, Publicis Groupe has asked Euronext Paris to postpone the trading of its shares to 9.30am New York time / 3.30pm Paris time. Moelis & Company is financial advisor to Omnicom on the transaction. Rothschild is acting as financial advisor to Publicis Groupe. Legal advisors to Omnicom are Latham & Watkins LLP and De Brauw Blackstone Westbroek N.V. Legal advisors to Publicis Groupe are Wachtell, Lipton, Rosen & Katz; Darrois Villey Maillot Brochier; and NautaDulith N.V. Jones Day provided counsel to Moelis & Company.